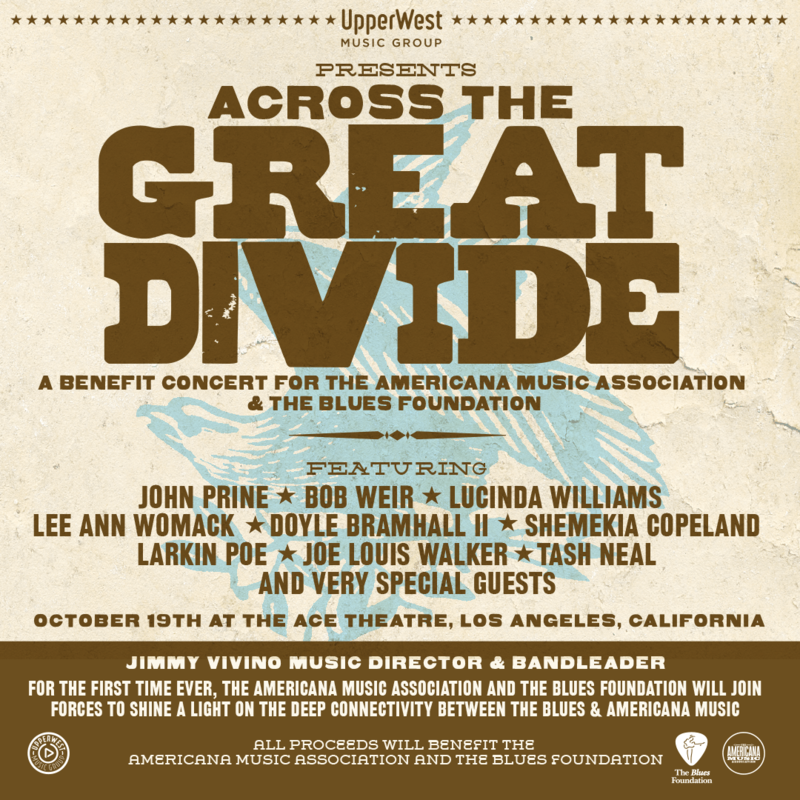 We are honored to be joining The Blues Foundation to celebrate the crossroads of Blues and Americana music during this one-of-a-kind event on Friday, October 19 at The Ace Theatre in L.A.
"Across the Great Divide" will bring together a stellar lineup featuring some of the leading names in Americana, roots-rock and blues today including John Prine, Bob Weir, Lucinda Williams, Lee Ann Womack and Joe Louis Walker alongside younger contemporaries including Shemekia Copeland, Doyle Bramhall II, Larkin Poe and Tash Neal, plus surprise guests. The superb house band will be led by musical director Jimmy Vivino from The Conan O’ Brien show. All proceeds will benefit the Americana Music Association® and The Blues Foundation. See below for pre-sale code and ticket link to attend. Friends of Americana can buy tickets during a special pre-sale that begins tomorrow, Thursday, August 23 at 11am (CDT) here. Tickets for the public will go live on Friday, August 24 starting at 11am (CDT) here.